First-time writer-director Erica Faes To Keep the Light is a slow-burning drama sparked by the solitary life of a 19th-century Maine lighthouse keepers wife struggling to keep things afloat when her husband is incapacitated. When a mysterious stranger washes up on shore, Abbie is forced to face both her past and her future. In a quietly evocative performance, Fae, who plays the lead, reveals Abbies essence through such meticulous body language that her situation is palpable. 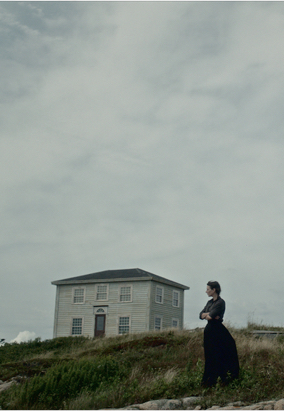 Her stoicism is artfully reflected by the remote, raw coastline and eerily austere interior shots. Erica Fae brings stories of powerful, radical women from history onto the stage and screen. "To Keep the Light" is her first feature. Her short film, "Christine 1403" (on medieval writer Christine de Pizan), screened at festivals worldwide and won her both Best Short and Best Actress prizes. Her play, "Take What Is Yours" (on suffragist Alice Paul), ran Off-Broadway and was named a Critics' Pick in "The New York Times" and "Backstage". As actor, she's had recurring roles on HBO's "Boardwalk Empire" and "Doll & Em", and has performed in numerous films and plays. She teaches at Yale School of Drama and is in development on a mini-series and her next feature.